Inventory We are a resale marketplace, not a box office or venue. Ticket prices may exceed face value. This site is not owned by Verizon Wireless Arena . The SNHU Arena, formerely the Verizon Wireless Arena, in Manchester, New Hampshire opened November 15, 2001. The SNHU Arena has a seating capacity of up to 11,770 for concerts and generally fewer than 10,000 for most events. The Verizon Arena box office is located on 555 Elm Street in downtown Manchester. 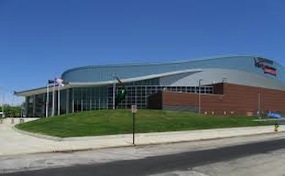 The SNHU Arena Manchester is home to the Monarchs of the American Hockey League. Some past Verizon Arena Manchester tickets have included 2005 AHL All-Star Game, WWE, Frozen Four Regional Tournament, and preseason Boston Bruins and Celtics games. Barack Obama stopped in with Oprah Winfrey on a campaign rally in December 2007. With a new name in 2016 the Southern New Hampshire University (SNHU) arena did not miss a beat provifing the same level of entertainment as the prior year. 2017 will be high lighted with a visit from Luke Bryan, Stevie Nicks, and The final year of Ringling Brothers Circus. Verizon.ArenaManchester.com is an independently owned company that provides access to a wide variety and low prices online for all secondary market events. Inventory changes rapidly and may be above or below face value depending on the event. We are not affiliated with any primary box office, venue, and or box office. To order your tickets for any Verizon Wireless Arena Manchester events, pick up your phone and call our operators at anytime or follow the steps online to order your desired performance.